Collect data to diagnose, predict, and help prevent problems in electrical distribution systems using power quality or power quality and harmonics testing tools. By analyzing data on the power flow in your electrical system, you can identify ways to reduce wasted energy and help reduce maintenance downtime. 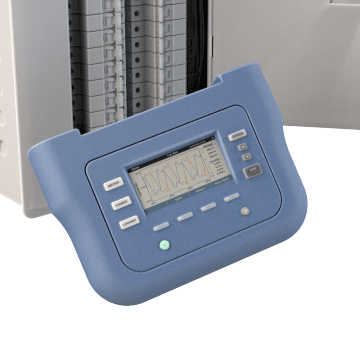 Check the health of your power systems and troubleshoot issues with these power quality analyzers. 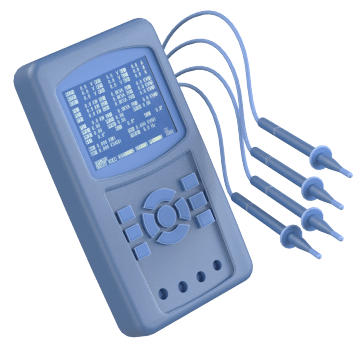 They provide information to help you make quick, informed maintenance decisions and pinpoint where there is wasted energy in your system, helping to minimize downtime. 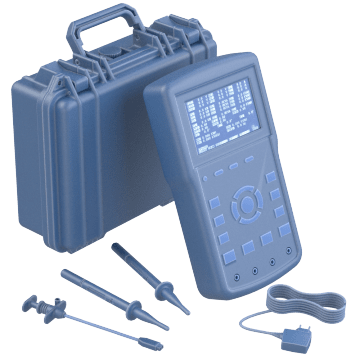 Determine if harmonics are causing problems such as excessive heat in conductors or torque pulsations in motors by using these power quality analyzers with harmonic measurement capability. 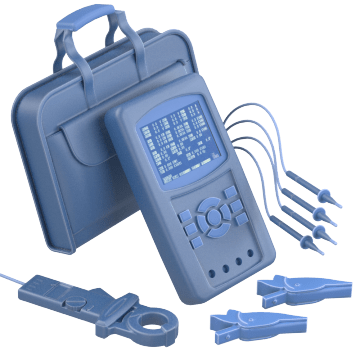 These power quality analyzer kits contain what you need to monitor and diagnose issues for your electrical distribution systems, including items such as meters, cables, connectors, adapters, cases, and software.